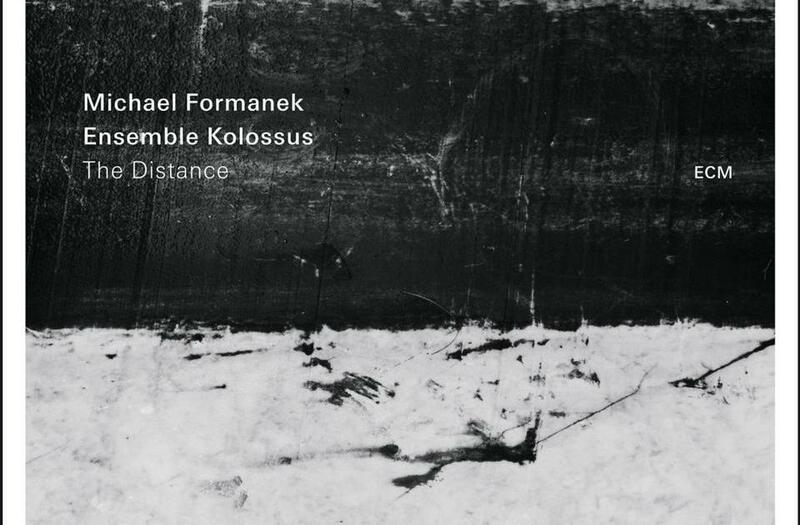 The new release by bassist/composer/arranger Michael Formanek and his Ensemble Kolossus is an epic rendering of his large multi-part piece “Exoskeleton” and one shorter work “The Distance.” This release harkens back to the late sixties for me but not in any sense of attempting to recreate the past. Instead it brings to mind Oliver Nelson in it’s crystalline arrangements. Writing for such a large ensemble can be difficult at best to achieve a clarity of orchestration, but Mr. Formanek has done so quite adeptly. Throughout the pieces you can always hear every voice meld into a sonorous palette that vibrates with enormous energy and beauty. It also brings to mind recordings such as Eric Dolphy’s Out to Lunch and Herbie Hancock’s Empyrean Isles for me as well, in the way the musicians can be open and grounded at the same time in the music they are creating. Formanek has no need to prove either his link to the jazz tradition nor his new music credentials, and like those famed Blue Note releases the writing embraces both classic and more post-modern playing and writing. Melody and harmony, composition and improvisation sit side by side with more sonic and freer playing without eroding any of the conventions. The ensemble truly embraces the history of this music from swing to freedom defying any one sub-genre of classification. The writing and arranging and improvising is well-balanced and the transitions between composed and improvised moments is seamless and sonorous. For instance, “Part I – Impenetrable,” begins with the ensemble displaying drama much in line with the music written for film and television in the sixties and seventies and then takes a turn toward downtown as Loren Stillman begins his solo. The ensemble returns and then drummer Tomas Fujiwara takes a turn before the band begins part two swinging and leading the way for a classic tenor solo by Chris Speed, who then in turn is followed by Kirk Knuffke on cornet who with the help of Mary Halvorson’s creative left-of-center comping shifts the mood to a later-night scene before Ben Gerstein seems to elucidate an inner mental dialogue which seems haunted by William Burroughs. The musicians of Ensemble Kolossus are all well-known high-level players and shine both in ensemble and solo passages. All of the soloists on this recording are able to bring their enormous talents and personality to the music while blending very well with the overall compositional shape and sound, and it seems evident that Formanek knew who he was writing for and used their individual abilities extremely well, in much the way Duke Ellington did in his orchestra. Every person is an individual voice in the larger sound bringing a really rich sound to the writing. Credit should also be given to Jon Rosenberg and David Torn for their work capturing and mixing this record. This is a really striking beautiful release and is worth multiple listens.